This may be the day when finally after all the false dawns and dashed hope, peace replaced war, politics replaces terror on the island of Ireland. ... This is a step of unparalleled magnitude in the recent history of Northern Ireland. A day like today is not a day for soundbites, really. But I feel the hand of history upon our shoulders. I really do. You only require two things in life: your sanity and your wife. New Updates! (4/20/2019) We've been working really hard on completing our membership system so you can submit quotes and keep track of them. Once this is complete in the coming weeks there will be a lot more quotes by Tony Blair and other authors. We've also changed the sorting on the site so you now see the latest Tony Blair quotes first. 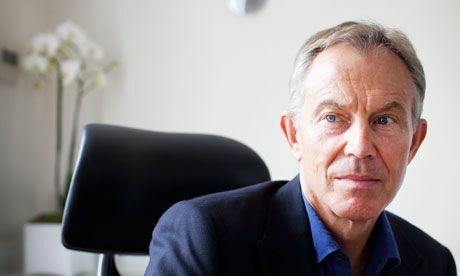 Our goal is to have the best Tony Blair quotes on the web!